TOULET BILLIARDS: YOUR CHOICE FOR QUALITY ! 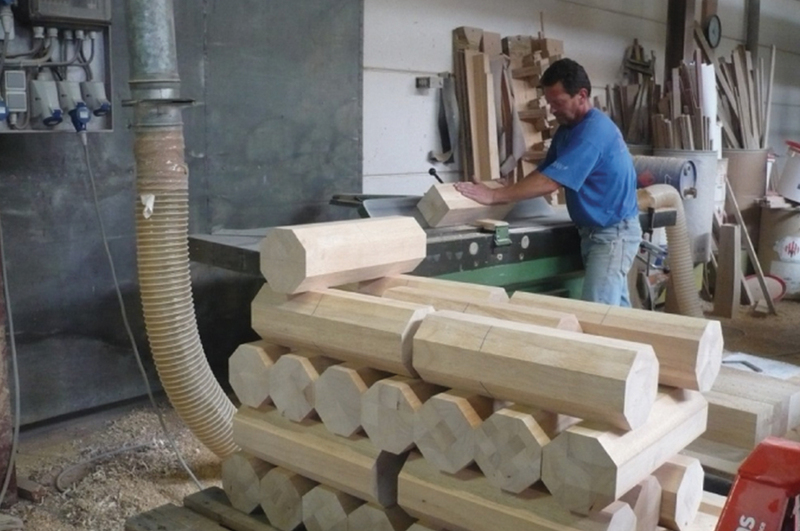 All stages of billiards table production follow a special process, performed by our billiard technicians, guaranteeing the correct finish to our billard tables. 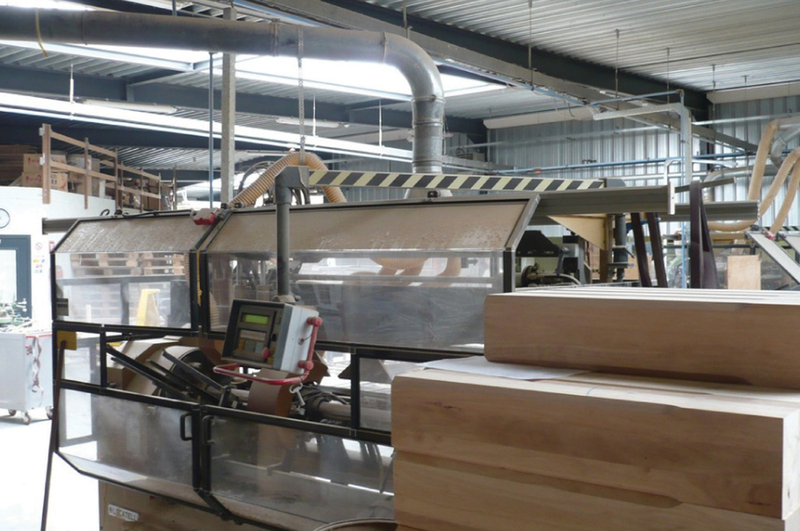 Soft wood is chosen according to your specific requirements, while the quality of the slate and the rubber cushions is rigorously controlled. 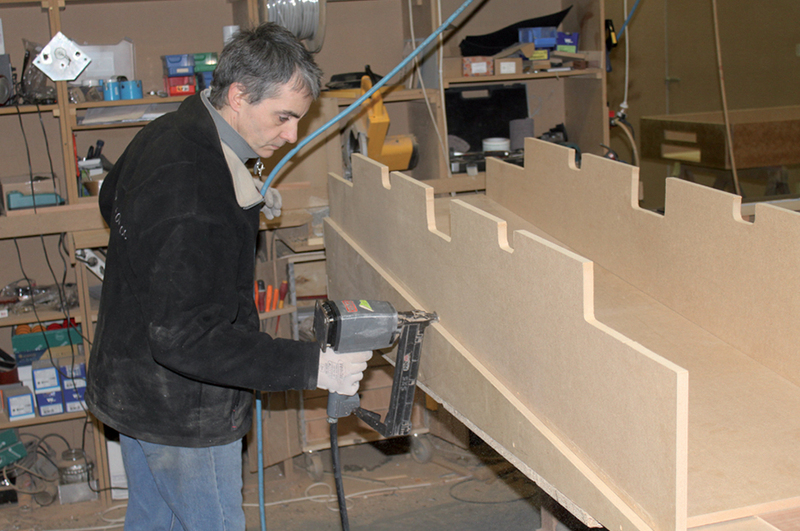 Once your billiard table is delivered to you, our technicians ensure perfect flatness and precision with careful assembly. 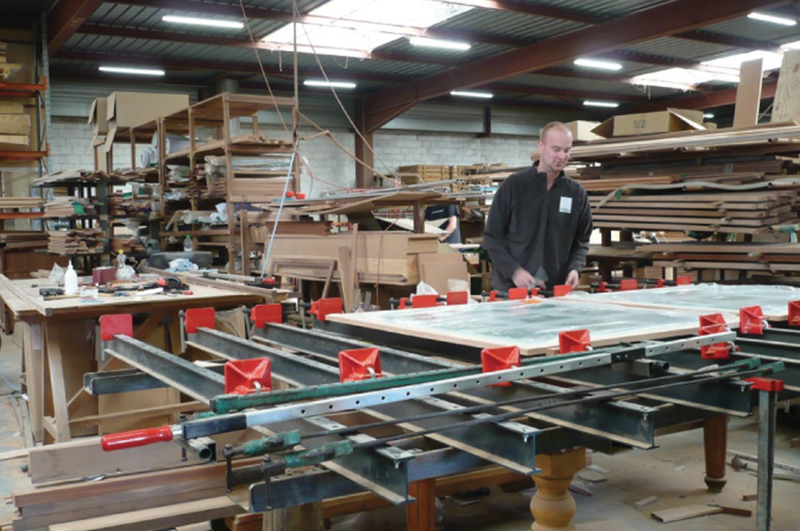 Our billiard tables are produced entirely in our workshops in Bondues (near Lille) using traditional methods. 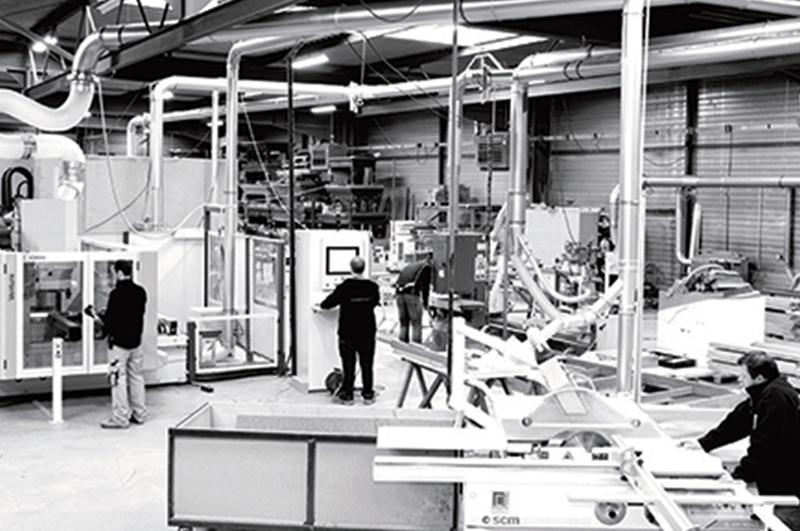 Nothing is subcontracted, in order to maximize quality and meet deadlines. 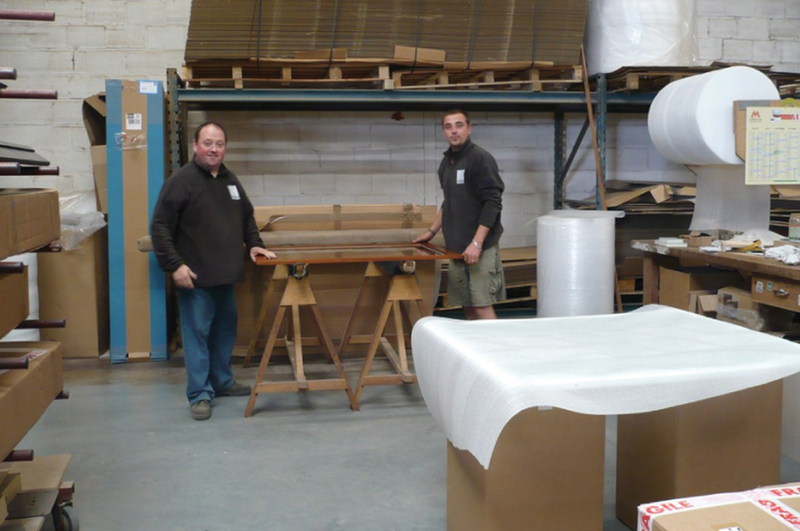 All our billiards tables are 100% solid wood and can be produced in Kotibe, walnut, oak, teak or other types of soft wood of your choosing. 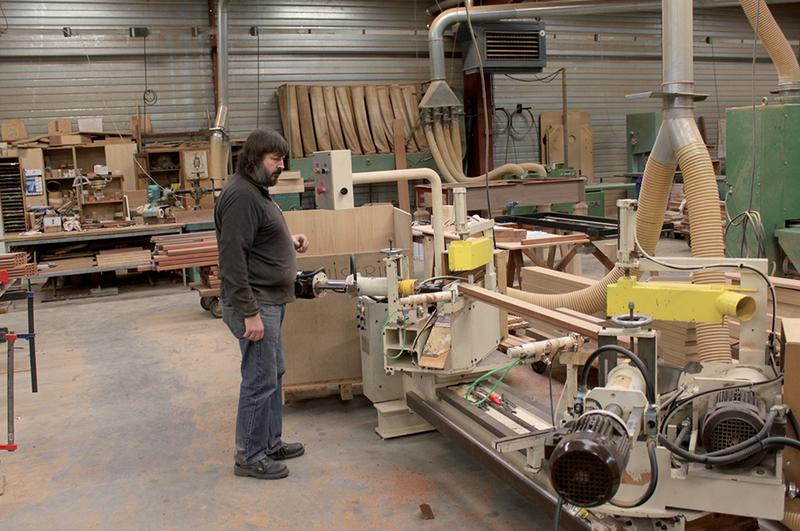 We work with the densest woods possible so that once the billiard table is assembled, it does not move. Kotibe is an exotic wood from the redwood family. It is a hard wood, which ensures the sturdiness of the table. 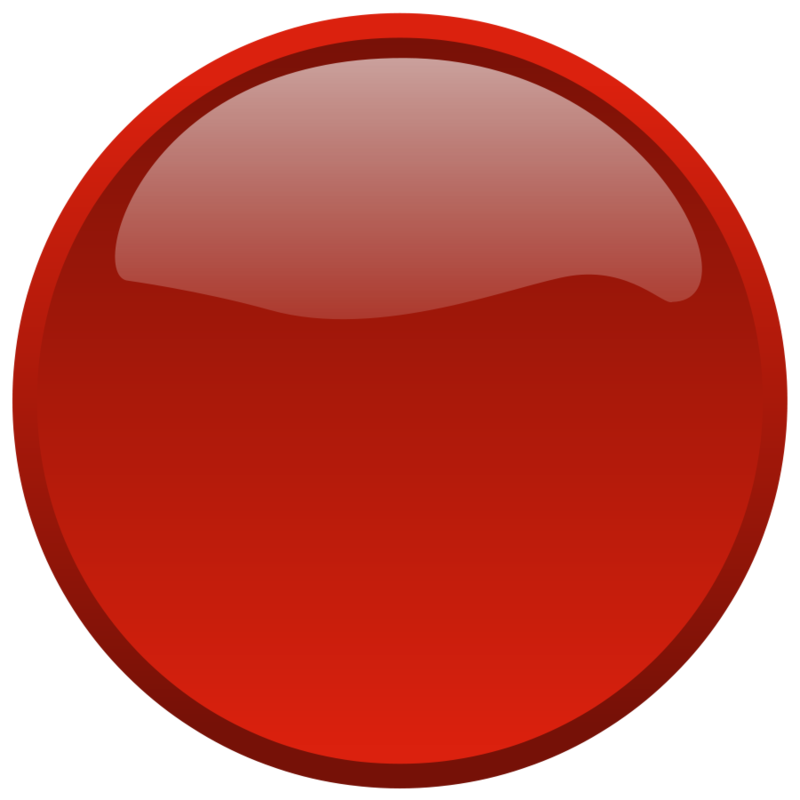 It has a reddish color, ideal for cherry or mahogany colors. We bleach it in order to have the clearest colors possible. Walnut and oak have the same characteristics. In addition, they have more pronounced grain, allowing for ceruse and faded patina. 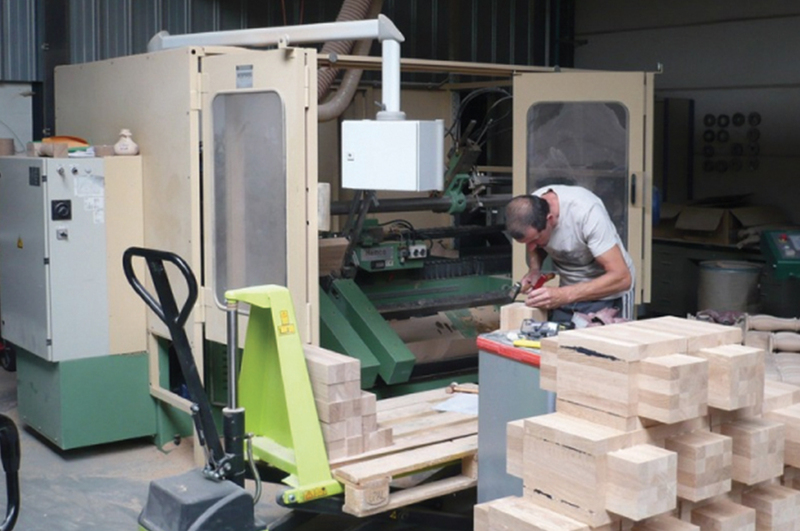 We receive our wood in blocks, which enables us to perform the most high-quality and aesthetically pleasing work on lengths. 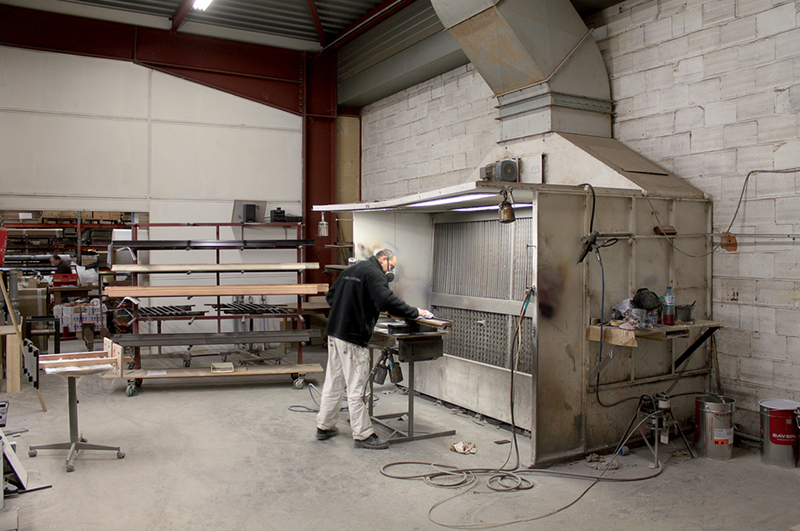 We work with raw wood, which allows for all types of possible finishes ! 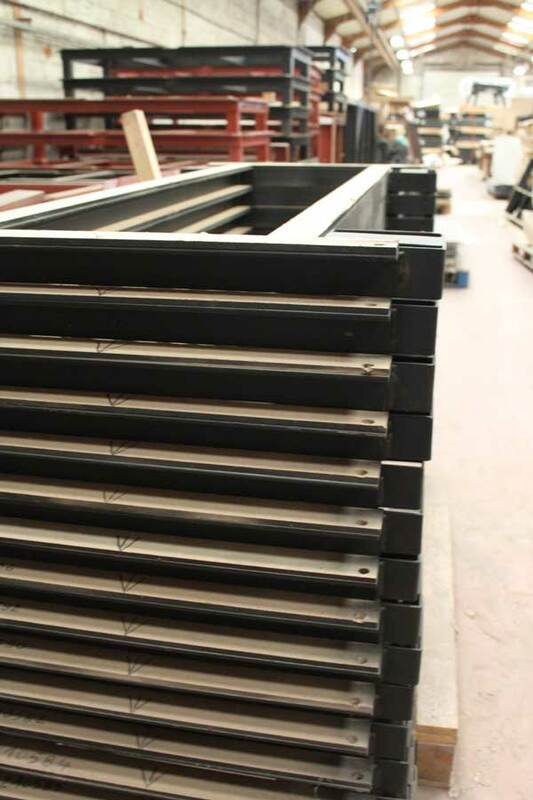 There are two types of frames – one with L-shaped corners or one with U-shaped supports. 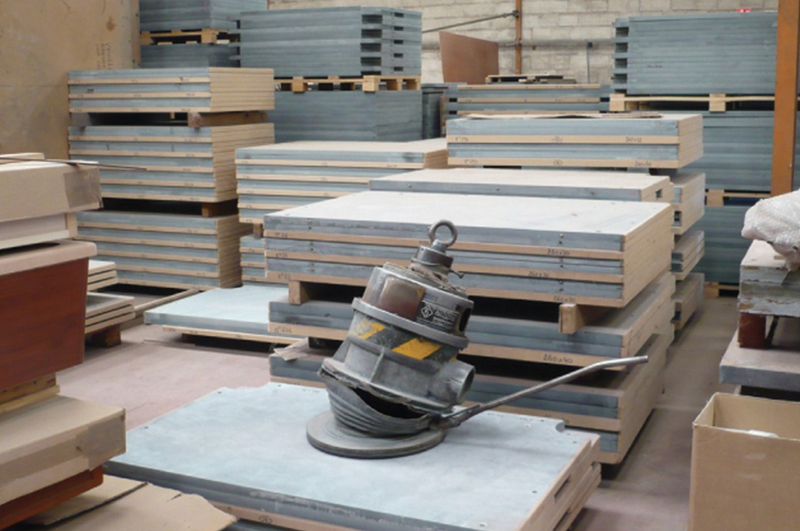 The section of metal structures is determined according to the thickness of the slate. 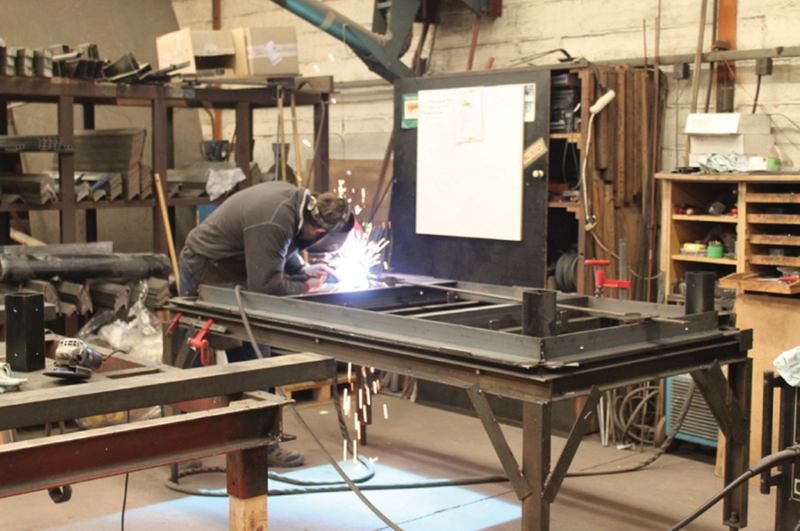 The metal is arc-welded using templates, but the supports are not flat, so we attach a 10 mm medium. 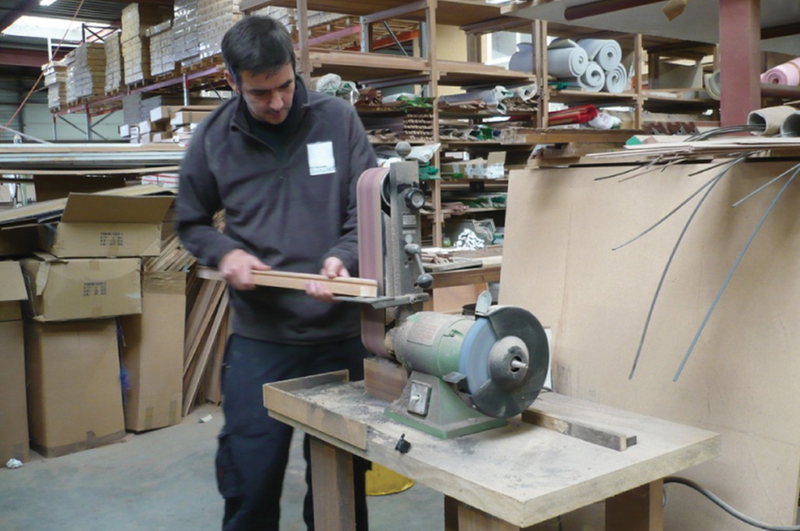 We then put it under a grinding machine with a carbide-bladed head, ensuring flawless flatness. 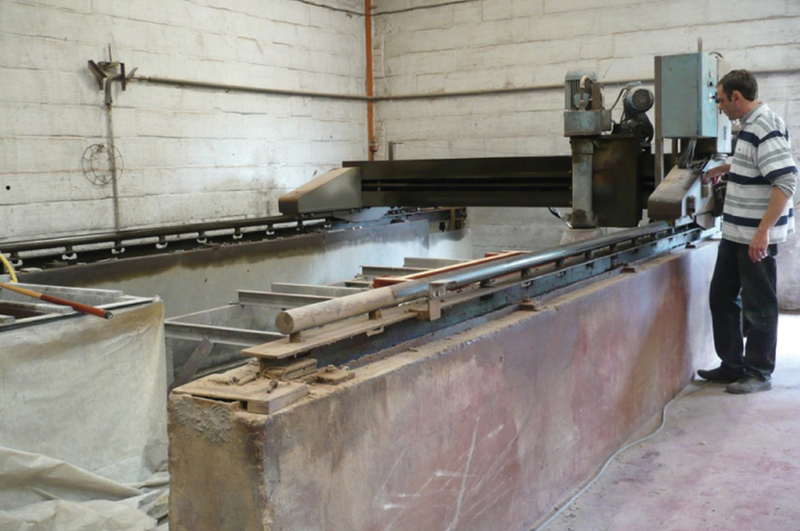 The metal sections are 80 to 120 mm long, depending on the thickness of the slate necessary. We then just have to add the tighteners, which constrain the slab and prevent any movement from bolted slates. 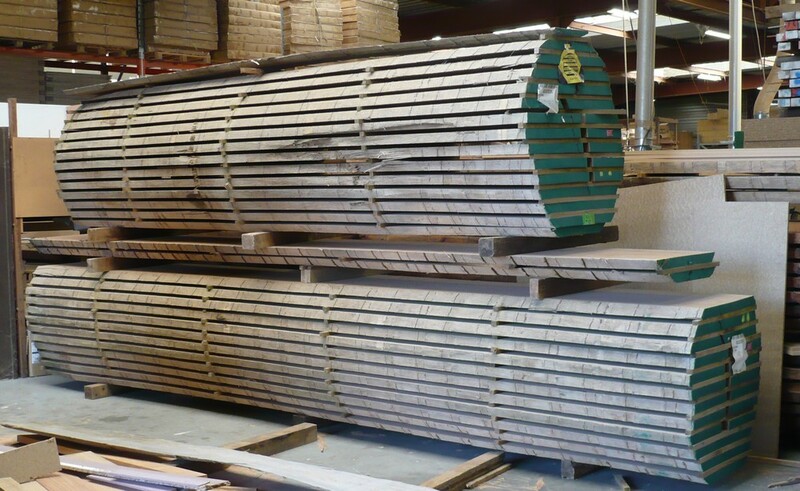 The metal does not move over time, which is why our billiard tables are guaranteed for life ! In billiards, what players are really looking for is inertia. 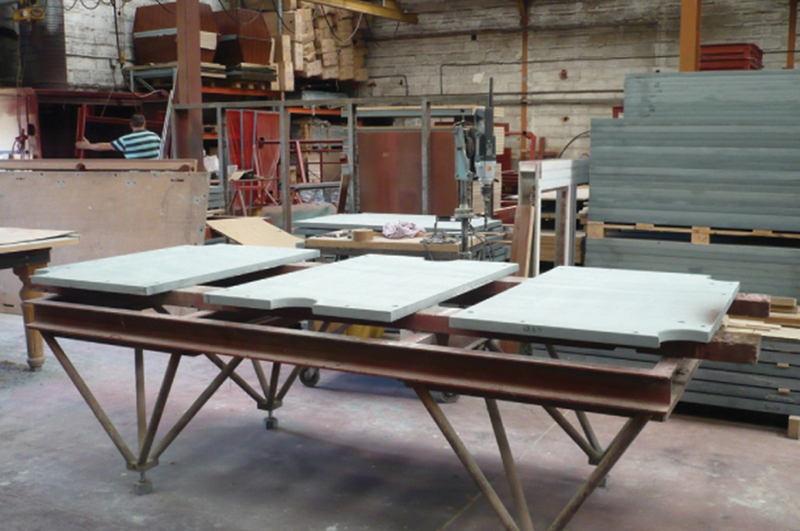 The production of our billiard tables is done with slabs of slate (19mm one-piece, or three 30, 50, or 60 mm pieces, depending on the dimensions). It is the material with the best density, which is 2.7 (measured in grams per cubic centimeter). People often think we use marble, which in fact has a lower density — 2.2. Our slates come from Italy and Brazil. They are ground to 0.05 mm and screwed on to the metal frame. The grinding is carried out by a diamond grinder (30 cm diameter head) to modify the slate (i.e., remove all the impurities). To avoid the overheating the diamond, a light trickle of water is applied to the surface, as the greatest Italian stonemasons do. 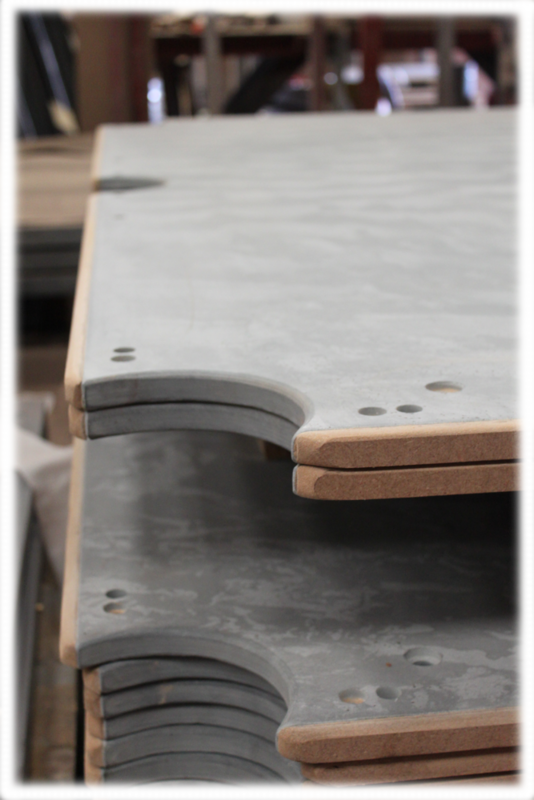 The slates are then cut and drilled, and a machine cuts the pockets for tables to be used for pool games. 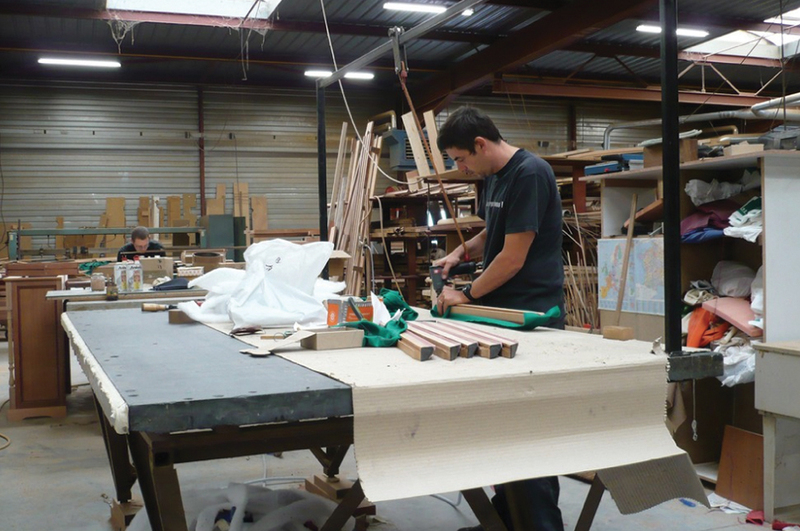 The rubber used for the cushions is made from Kleber Michelin, the brand specified by the French Federation of Billiards (FFB – la fédération française de Billard). The shape and density of the cushion are examined according to the rules of the specific billiards game. 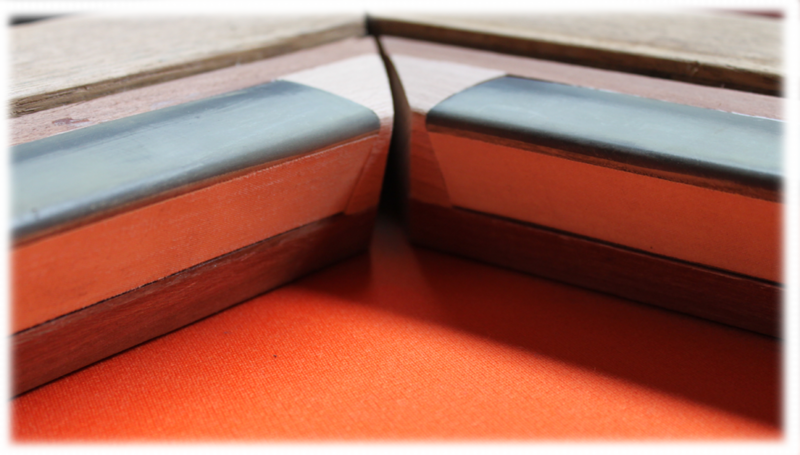 There are three possible cushion profiles: an L-shaped cushion for blackball pool, a quadrangular cushion for French billiards and eight-ball, and a triangular cushion for the renovation of old billiards tables. 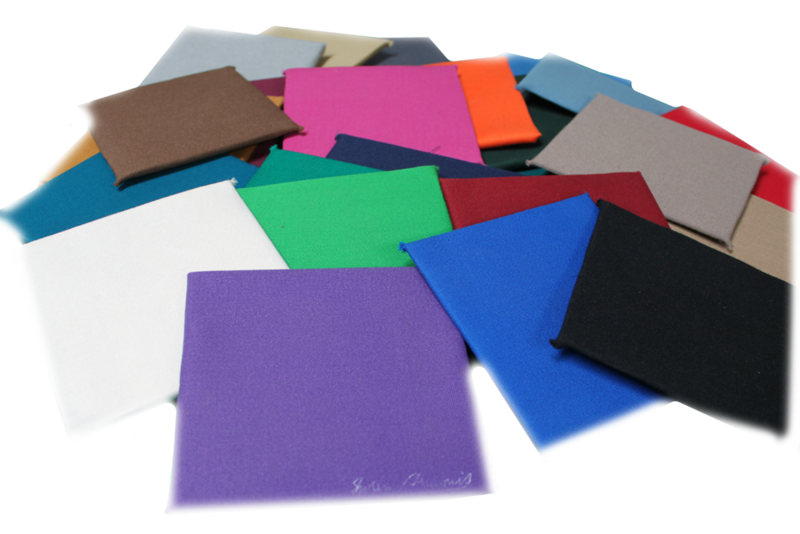 Each cushion is verified before its assembly – it is the quality of the cushion that ensures that the ball bounces correctly and the rubber ages well. 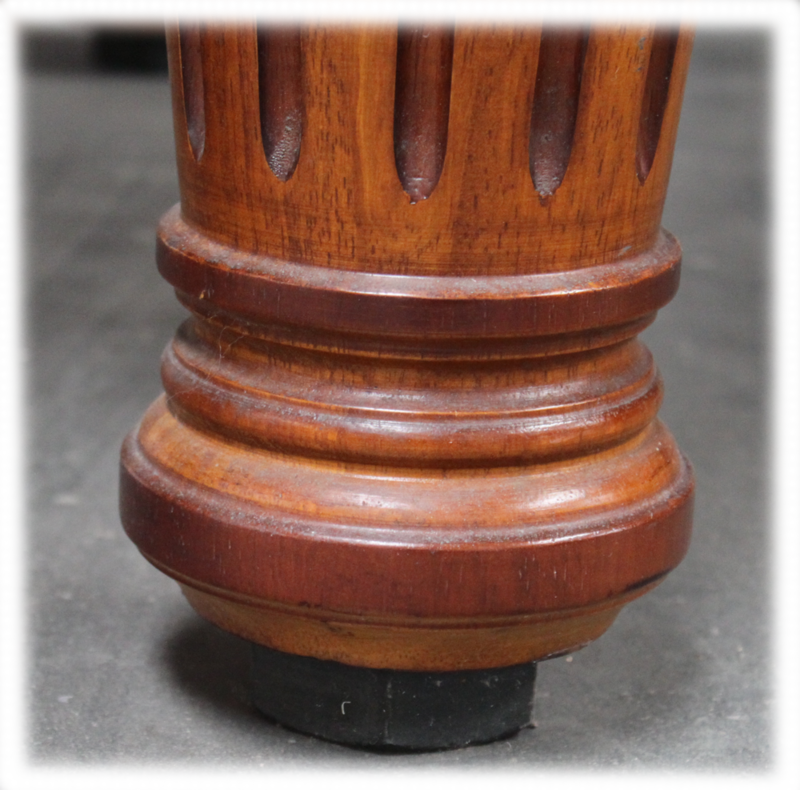 The 6 cm diameter actuators are placed under each foot of the billiard table, enabling perfect adjustment of the table. They are covered by pads which prevent them from scratching the ground in case they move. In order to provide the best roll possible, we only work with competition quality cloths. We use Simonis cloths. On our pool tables, we use Simonis 760, 860 or 920. On our carom tables, Simonis 300. We use Strachan and Hainsworth cloths for our blackball tables and Strachan exclusively for snooker tables. 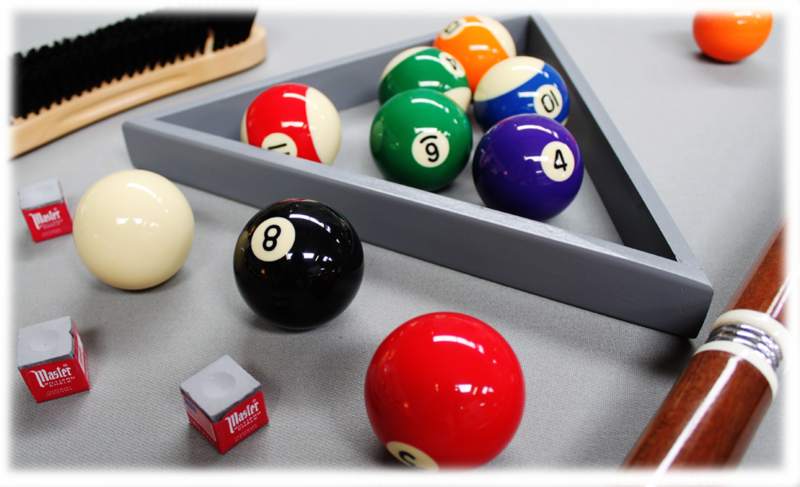 All our billiards tables come with an accessory pack: 4 cues, 1 brush, 1 cue rack, (1 triangle), 1 box of chalk and one set of Aramith balls, which are renowned for their quality. Our billiards tables are available in several sizes: 190, 210, 220, 240, 260, 280, 310, 380. 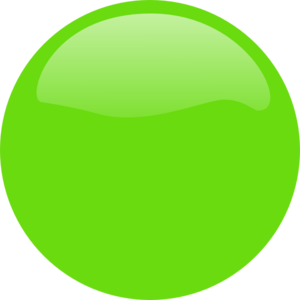 The competition standards are: 210 for blackball pool, 280 for eight-ball (in France, sizes 220, 240 and 260 are also to standard), 280 for French half-match billiards and 310 for the French full-match game, and 280 for snooker. 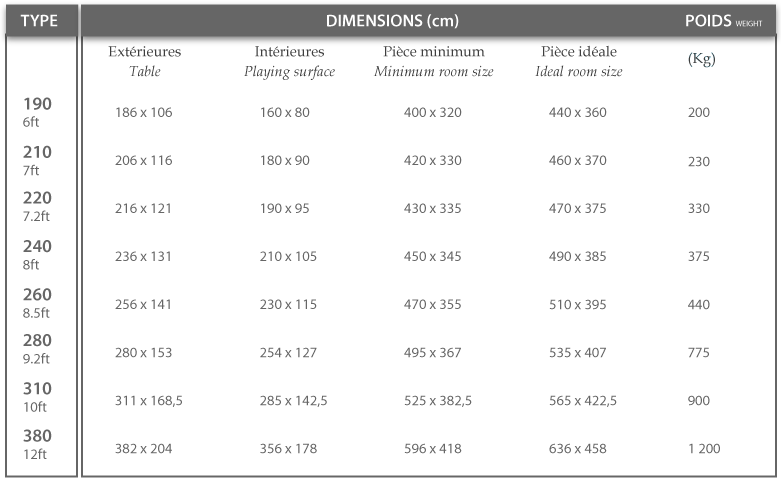 We are aware that a billiards table needs plenty of space, which is why we offer in-between sizes to fit into any kind of spaces. 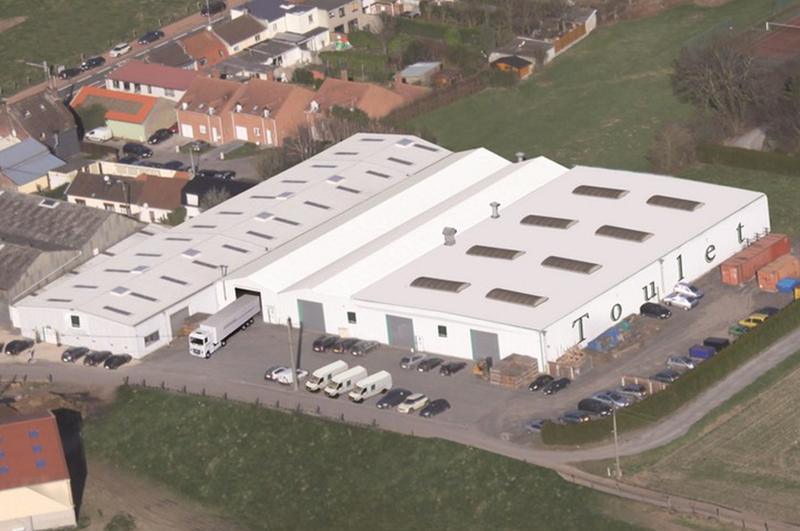 Our production location: Atelier de Bondues, 600 avenue du Général de Gaulle 59910 Bondues, France (near the city of Lille) Mechanical workshop : quality slates (originating from Italy for an optimum quality), slate and frame grinding , patented metal frames, rustproofed. 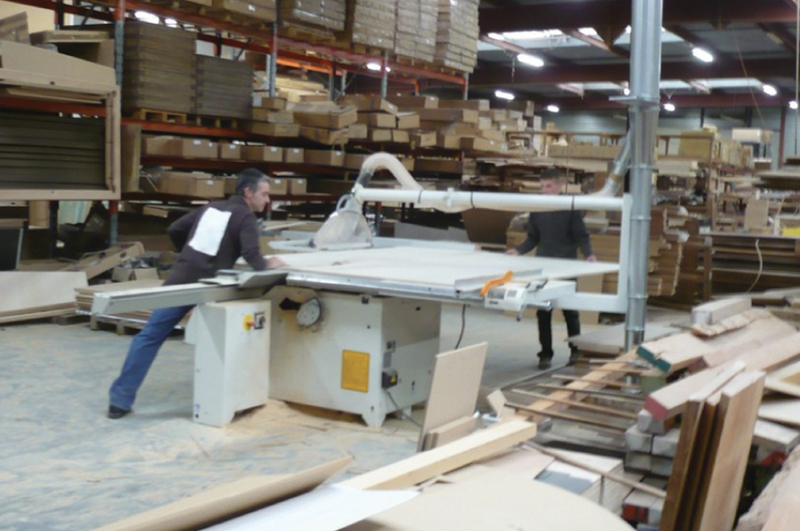 Carpentry workshop : solid wood, milling and finishing, tabletops, and more. 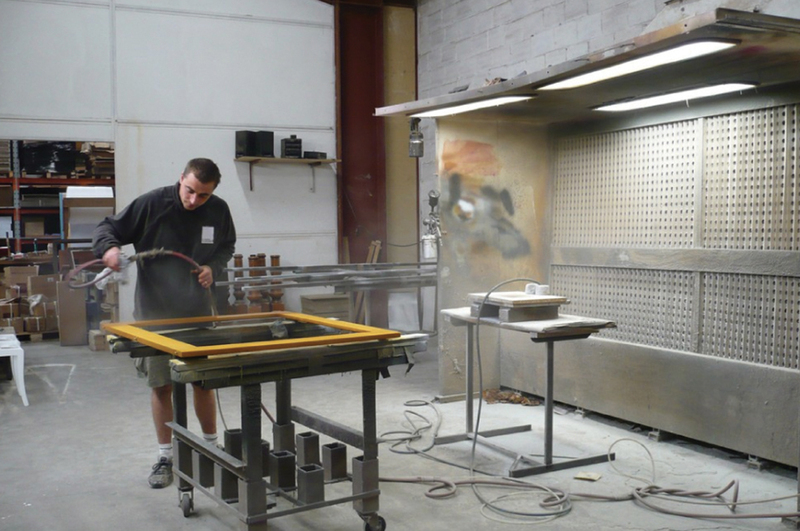 Base workshop and finishing workshop : hand finishing on all of our billiard tables, rubber cushions, draping, packaging, and more. 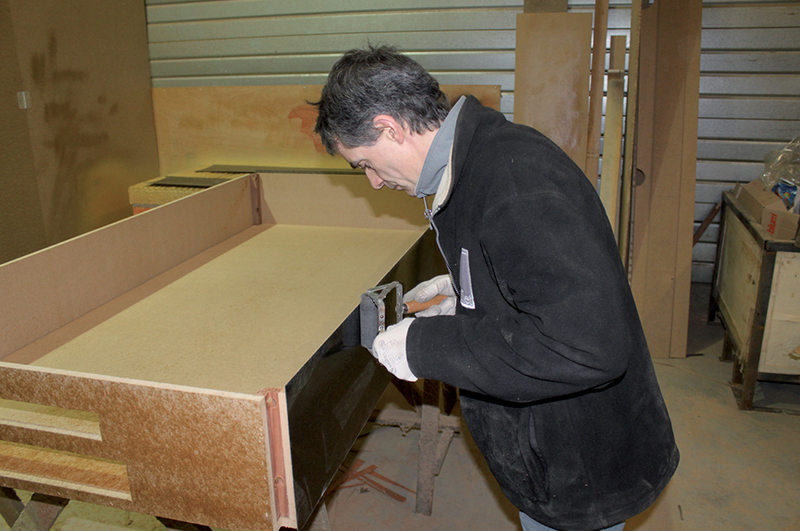 Varnishing workshop and quality-control workshop before delivery.